My books, some are free! – Open Our Eyes, Lord! Click HERE and you can download a free copy of my commentary on 1 Corinthians (English version). It is based on my own exegesis of the Greek, but the style is non-technical and includes plenty of devotional thoughts as well as Bible interpretation. What is agape? What are the spiritual gifts? What about divorce? Do we exist as spirits forever? What are the traits of a good Christian leader? Click here to download How to live the Christian Life, a short collection of essays on turning away from our own strength and living by the New Covenant. Or HERE Shogren_Corriendo en Circulos 2013 to get a Spanish version of Running in Circles, called Corriendo en Círculos. Or you can get the English version Running in Circles: How to find freedom from addictive behavior. It is available on Amazon.com as a Kindle Book for $5.99. Click HERE. The books are free and without obligation; I merely ask that you consider subscribing to this blog. Go to the right-hand column of the Home page and enter your email address in the blank space above “Sign me up!”. You will automatically be notified of new posts when they come out; your email address will not be used in any other way. I repeat: your email will not be sold to Netflix or anything! If you’re already a subscriber, you might ask a friend if you can sign him or her up. Another book, which is available from Amazon.com and also as a Logos book, is my new commentary on Thessalonians. Click HERE. 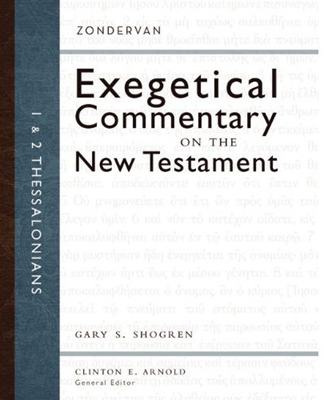 1-2 Thessalonians by Zondervan includes commentary, practical application, and my own translation. This one does contain some Greek: if you don’t read it, make your pastor a nice present! What does it mean to “pray without ceasing”? Which comes first, the rapture or the tribulation? Who or what is “restraining” the Man of Sin? How do we disciple? How should a Christian act at work? How do we defeat stubborn sins? Pingback: 1 Cor 13 – when and how will “the perfect” come? | Open Our Eyes, Lord! Pingback: New Year’s Resolutions or New Covenant Miracles? | Open Our Eyes, Lord!